This workshop is open to all. Registration is required, limited places available. 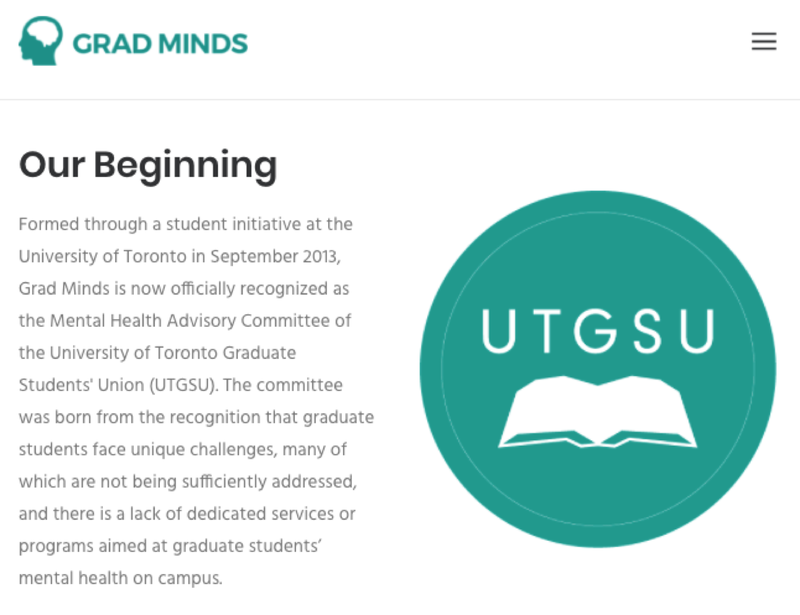 NOTE: If you are a current Grad Student at U of T please see note about spaces available to you for free through UTGSU Grad Minds. 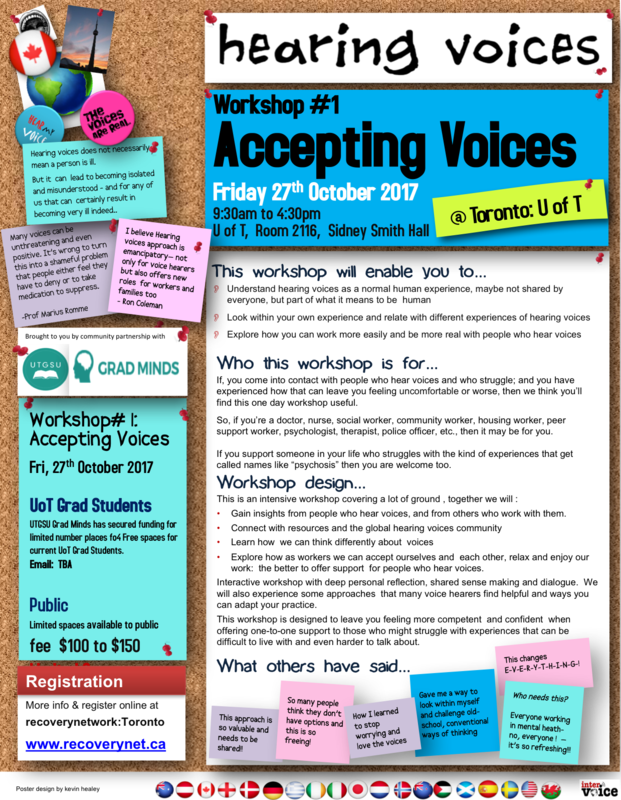 Very pleased to announce opportunity to participate in innovative, ground breaking workshop, offered in partnership with University of Toronto Graduate Student Union’s Grad Minds Committee. 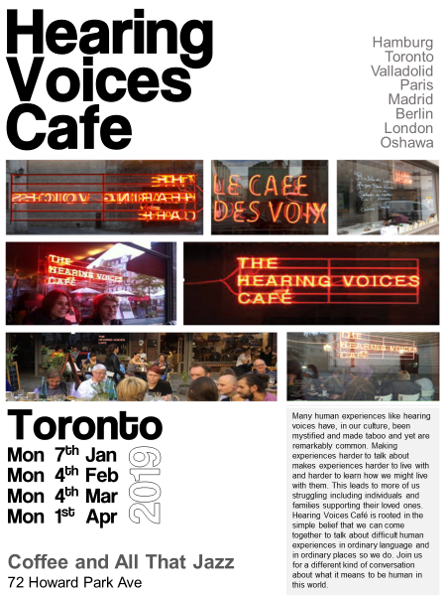 Hearing voices is intentional, ordinary language descriptive of a range of human experience that has been mystified, is often feared and yet which is also remarkably common. 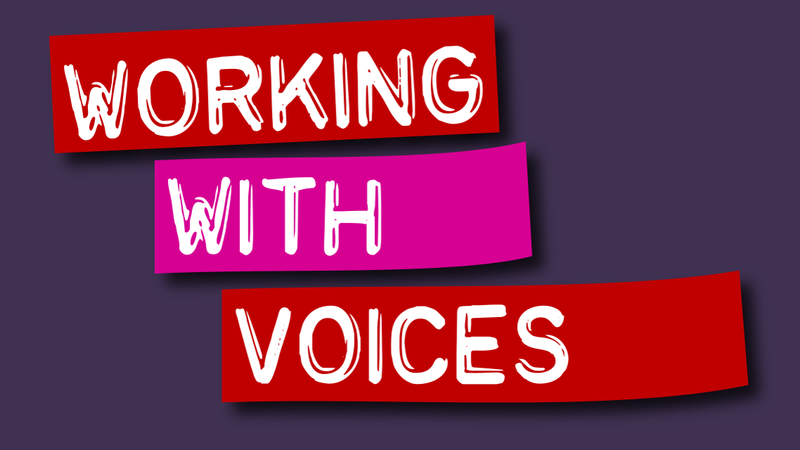 Hearing Voices also refers to an emancipatory approach that accepts such experiences as very real and meaningful if sometimes difficult to live with, and that seeks to share ways we can learn to live with such difficult experiences and support and connect with each other. When we learn to put aside our fear of both ourselves and each other we generate possibilities that we can find and create new roles, connect with each other, and find richer experiences of being human as we co-create a world that’s easier to live in for all of us. If you are a current UoT Grad Student then UTGSU Grad Minds Committee has secured funding for a limited number of places available to you for free. Limited number of places also available public on . This workshop offers a uniquely human way of understanding the kind of experiences that get called mystifying names like “psychosis”; a non-diagnostic way of understanding such experiences and deeper understanding of how we might better support those who live with these experiences and who struggle from humanity and compassion. Do you work with people who hear voices or other experiences that get called names like “psychosis” and who struggle with that? 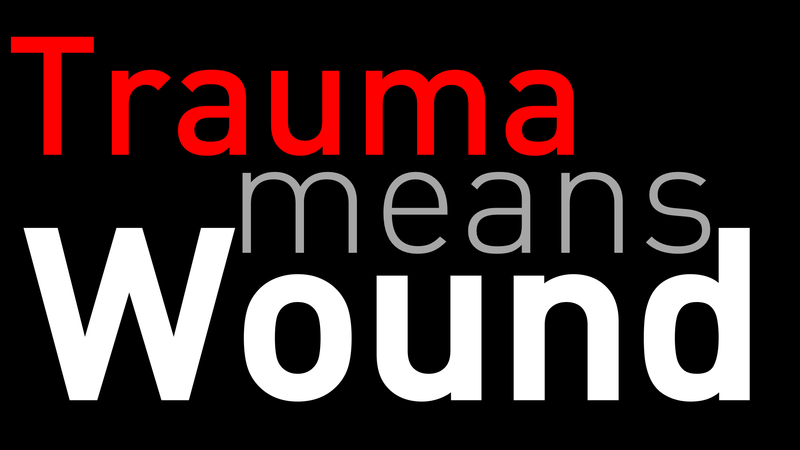 Have you come to realize how the story that a person hearing voices must mean “illness” ? limits not only them but limits you too, and limits all of us? If so then this workshop might help you tilt your universe and emancipate yourself. 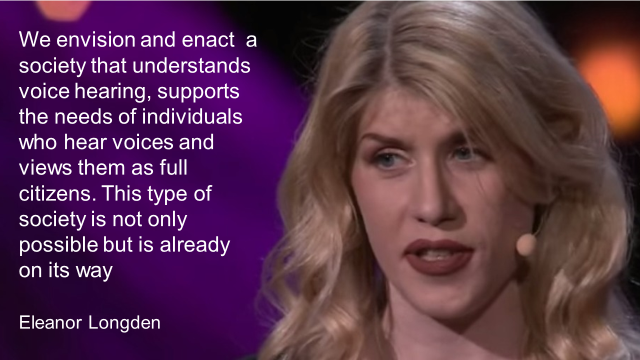 It offers new, very simple and very human ways to understand and begin to act . If you’re looking for a workshop on how to diagnose and categorise your friends, family and colleagues and what dehumanizing names to call yourself and them, then know that this is not it. Our aim is that you can feel more confident in your ability to offer yourself as a one person safe space to people who live with experiences that get called names like “psychosis” and that can be difficult to live with and more difficult to talk about. A big thank you to UTGSU Grad Minds Committee for inviting us to offer this workshop at U of T, providing spaces for Grad Students and allowing us to offer spaces to the public. 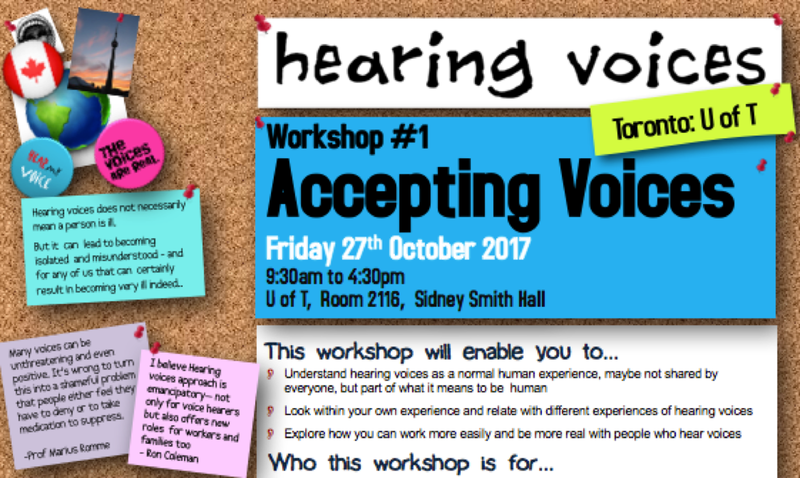 This workshop is designed to leave you feeling more competent and confident in your own ability to offer yourself as a one person safe space for people who hear voices. Poster: easy print PDF version. 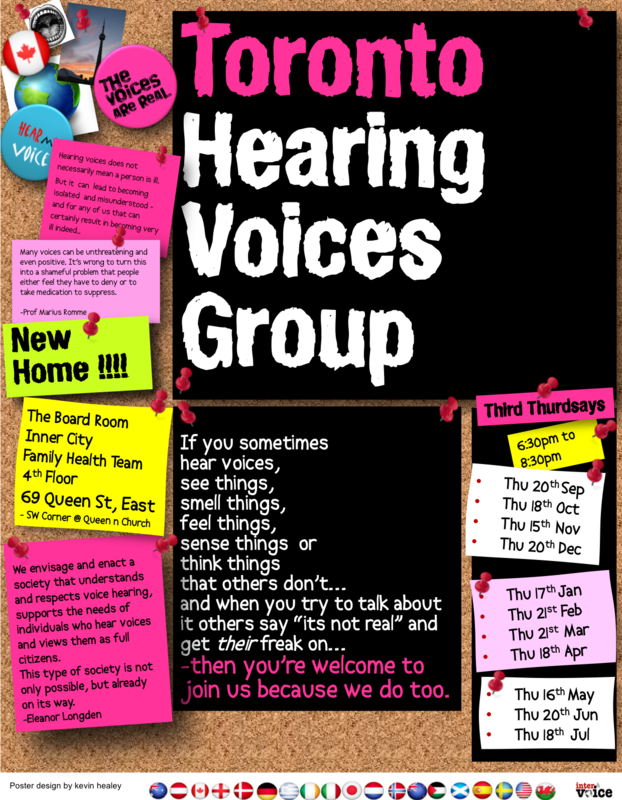 This entry was posted in Event, hearing voices, Ideas, Training and tagged hearing voices, Training. Bookmark the permalink.